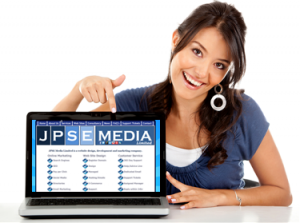 JPSE Media Limited has listened to feedback from our website enquiries. Businesses that are looking for a little more than just a website have come to the right place, because with our Business Plus Package we go the extra mile by designing a logo, sorting your stationery and even a business phone number. If you are a brand new business or if you are thinking of rebranding or just fancying a change, then this is the package for you. If you want to give the internet a proper shot, trust us to put your business in the right place at a very low set up cost and tailored monthly maintenance costs that will not break the bank. Click here to see our article on how ‘free’ web site deals generally don’t work. We will get your logo, web site design and marketing set up correctly. This means making sure all the tools are in place to give yourself a fair chance, we will do the search engine optimisation (the SEO) and we will create back links. We will verify and/or register your company on the biggest directories that are relevant for YOUR Business and we will give you a Social Network presence to work with. If time is an issue, we can even talk about us managing your on going content writing and social media marketing. We will then create a package for you to maintain this so you can be left to run your business. Fill in your details below and add some details about what your business needs are and we will call you back, alternatively you can call us on 0845 519 7929. Google – SSL – HTTPS – Higher Ranking?